Inshore boat fishing is fishing from a boat in easy sight of land. In Bahía de Banderas, the main difference with other inshore fishing, is the depth of the water, that can be in some places more than 3,000 feet, fact that brings in some pelagics like the yellow fin tuna and the sailfish inside the bay from time to time. If you prefer more abundant but smaller catches, inshore fishing is for you. 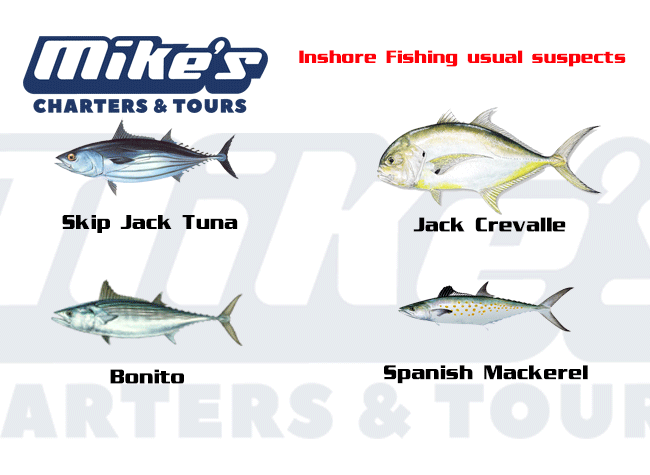 Check this chart with the most usual catches you will find in inshore fishing trips.